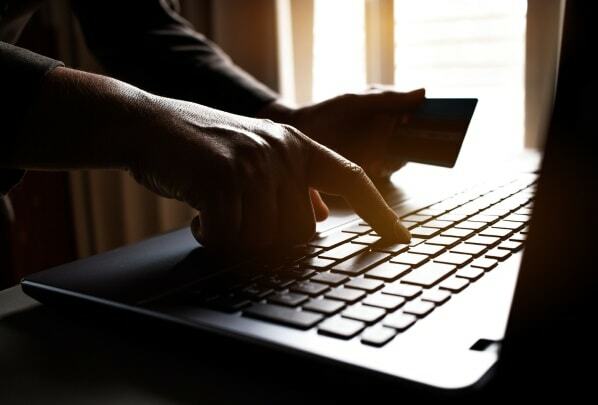 Browsing the internet incognito means that no one can track which websites you visit or scan your emails for information about your shopping preferences. When you surf anonymously, you turn off cookies, which are tiny text files that allow websites to follow your movements online, and clean your digital traces so that your internet activity stays private. Why Surf the Net Anonymously? In today’s digital world, nothing is secret. Someone knows which websites you visited today, what movies you browsed on Netflix, which boots you checked out on Amazon, and even what groceries you ordered from Whole Foods. You don’t have to have anything to hide to want to surf the net incognito – you might just be sick of having tracking ads popping up and dislike the idea of Google knowing your every thought. It’s unnerving and scary to send an email to a friend about how much you love Taylor Swift and then find Facebook ads for her next concert following you around. Surfing the net in hidden mode helps keep your private internet searches private and stops anyone, from the government to the bored teenage hacker next door, from snooping into your interests. Sometimes, surfing the net in incognito isn’t just preferable, but is recommended to keep you safe. For example, if you’re using public WiFi, it’s easy for cyberthieves to steal your passwords, financial information, and personal details unless you take steps to keep your connection hidden. In some countries with repressive regimes, expressing your political, religious, or social opinions online without hiding your identity would put you into real physical danger. If you’re traveling, many WiFi hotspots – even private ones – are swarming with cyberthieves who take the opportunity to hack your private information and install malware and spyware onto your device. Even just using the internet at home, you can be vulnerable to cyberthieves and cyberspies who want to steal your details. Surfing anonymously keeps you safe from hackers, snoopers, and spies alike. There are a few options to surf the net anonymously. If you're using a shared or public computer, the first step is to use Private Browsing mode by choosing this option on your browser settings. You should also set your browser to delete all cookies at the end of every session so that someone using the computer after you won't discover your personal details through autofill. Deleting cookies also stops websites from sending you those annoying tracking ads. You should also go to the settings on your browser to opt out of tracking. This asks websites not to access your location information, but you’re going to have to hope that they honor your request. Installing an anti-tracker browser plugin blocks tracking cookies so that your location stays hidden. While you’re there, check that you don’t have some Java or Adobe Flash plugins enabled which leak your details to snoopers. One of the safest ways to use the internet anonymously is by using a TOR browser. This redirects your internet activity through a deeply nested series of TOR servers so that anyone trying to connect your internet activity to your personal details will only be able to see the IP address of the final node. TOR browsing is very secure, which is why it’s often associated with the dark web that houses illegal sites. The downside to using the TOR is that it is likely to slow down your browsing speed quite a lot. There are many proxy servers out there that let you browse the internet anonymously and often for free. If you use a web-based proxy server, you don't need to download anything. You just visit the web proxy site and then type in the URL you want to visit on the site. Essentially, the proxy site retrieves the data from the website you want to visit and then sends it to you so that anyone trying to track your activity will see the IP address of the proxy site instead of your own. Proxy sites are easy to use and usually free, but they are not always effective. Many websites detect web-based proxy servers and block access to them. There’s also the danger that you’ll be taken in by a honeypot site that pretends to be a secure proxy server but actually steals your data, instead. The best and safest way to surf the web anonymously is to use a VPN, or Virtual Proxy Network, server. A VPN is different to a web-based proxy server because you download the proxy and it operates only on your device. 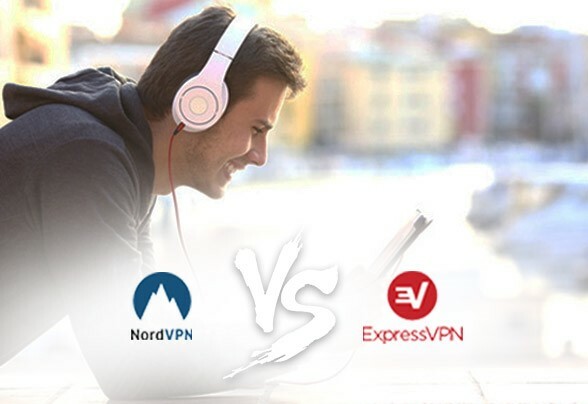 You still need to choose reliable and trustworthy VPNs such as ExpressVPN. A VPN works to keep you anonymous online in a few different ways. The first aspect is that it hides your IP address. When you browse online, your computer’s IP address sends a request for data to the website that you’re visiting. Normally, your IP address is completely visible for everyone to see and it locates you just like your street address. A VPN hides the request from your IP, sending it through a virtual tunnel (which is why using a VPN is also called tunneling) to one of its many secure servers – NordVPN has over 1,000 servers across the world. You can choose which server you want to use, so anyone seeing your internet activity will think you’re located in a different city or country and won’t be able to trace it back to you. Although TOR also hides your IP address, it tends to slow you down too. Using a VPN doesn’t slow you down – in fact, if you select a top VPN like CyberGhost, you can find the fastest server for you and actually improve your browsing speed. You can even double up on your protection by using TOR along with a VPN like PureVPN that permits unlimited torrenting. As well as hiding your IP address, a good VPN uses strong encryption to protect all your internet activity and financial and personal details. ExpressVPN and CyberGhost are among the many VPNs that use industry-standard 256-bit encryption along with DNS leak protection to make sure that no one can access your sensitive information while you’re surfing the internet. Encrypting your data means that even if a cyberthief were able to hack into the VPN tunnel and intercept it, he would not be able to understand it at all. The best anonymous VPNs include a zero logs promise which makes your browsing activity even more private. A zero logs policy means that the VPN itself doesn’t store any of your identifying information so that it can’t hand over details of your internet activity to the government, even if it was pressured to do so. Given that some countries like China, and even the US, have tracked down criminals and undesirables using data from a VPN service, this is an important feature. Keeping your internet activity private isn't an impossible dream. By using a top VPN, you can browse the internet privately and securely whenever you’d like.